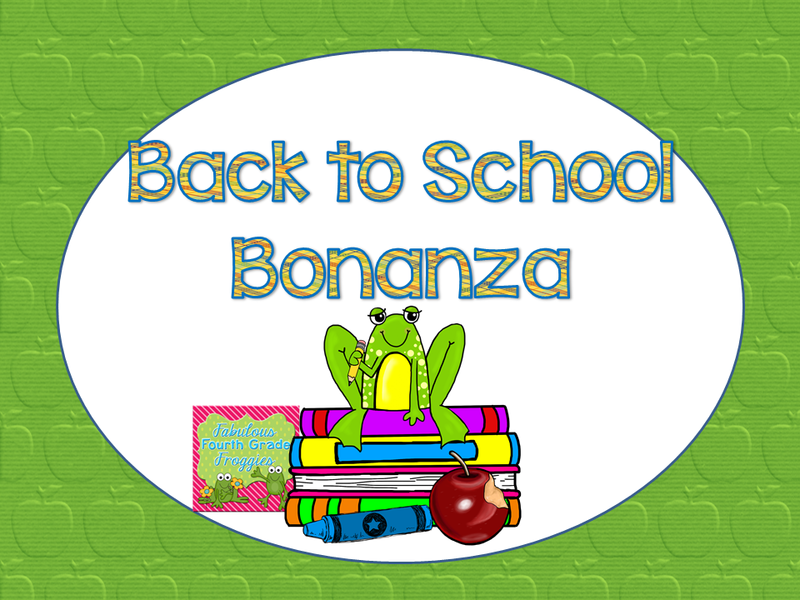 Teach Laugh Plan: Back to School Bonanza! As much as I am enjoying my summer break, the truth is, it's time to think about Back to School! I am not back on contract until August 18th but I haven't done ANYTHING school related this summer. Starting Monday I will start thinking about school again, which means I will start thinking about curriculum, lesson planning, and schedules. YIKES! However, I don't want to rush things so that I why I am starting off slowly.... with this post and a Back-to-School giveaway (that you can find at the bottom of this post). 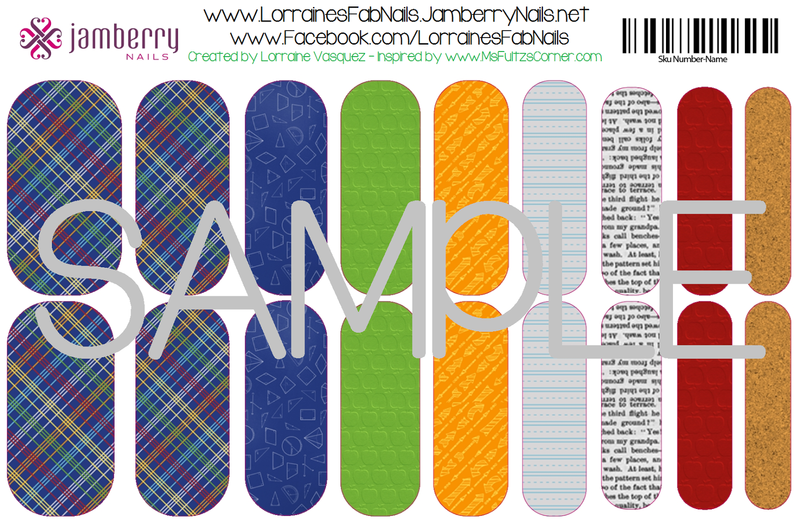 First I want to show you these FABULOUS Jamberry Nail Wraps I created in Jamberry's Nails Art Studio. I was inspired by the just as fabulous, Christi Futlz, from Ms. Fultz's Corner. I purchased and use her Back to School digital papers (also seen in the blog post pic above). You can be the coolest teacher in the school by having the cutest nails eva! You can purchase them by clicking the BUY NOW button. So we took care of Back-to-School fashion and how about the all important Back-to-School Snack? HA! The last thing I should be thinking about are snacks but the companies, Cosmos Creation and Sugar Bowl Bakery, have sent me some yummy snacks to try. YUMMO! The Sugar Bowl Bakery sent some yummy desserts that would be perfect for any parent to serve their kiddo when they got home to school, to serve at a faculty meeting, or even to serve parents at Meet the Teacher night! My favorite is the cookie in the middle called Petite Palmiers.... they are so flaky and sweet! The first cookie pictured is called Madelines....perfect with my coffee. My son happened to devour the brownie bites before I could blink. You can find all these desserts at most major grocery stores including Kroger and Wholesale stores like Costco. Cosmos Creation sent me a box of HEAVEN... yep, I said Heaven! This is the first time I tried these little morsels of sweet, crunchy goodness! 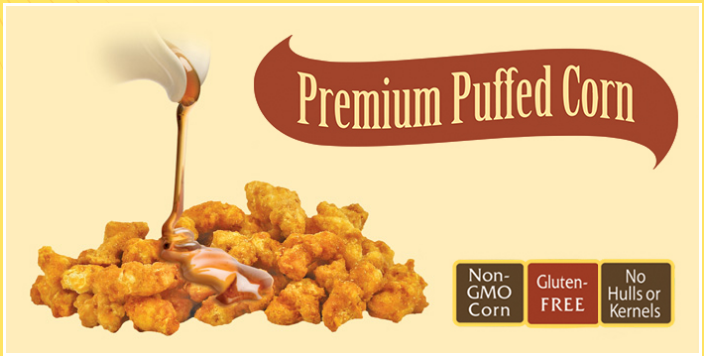 It's the best flavored puffed corn snack you will ever eat! They have a ton of flavors such as Salted Caramel, Crush Sea Salt Vinegar with Pepper, Coconut Crunch, and more! Dare I say, I like a healthy snack? Those of you that know me personally know I don't do healthy.... I should but I don't. These snacks have ingredients that you can actually pronounce and DO NOT have gluten, hulls or kernals and is non-GMO. You can learn more by going to their website or facebook page. You can purchase this snack (that I now nicknamed "heaven in a bag") at Sam's Club nationwide as well as other retailers such as The Fresh Market, TJ Maxx, and Marshalls. Cosmos Creation not only sent me samples to try but a prize pack to give away to one of my readers! YAHOO! You will get a bag full of yummy different flavors of "heaven in a bag"!!!! I will also be giving away a $20 Amazon gift card so you can buy yourself some school supplies to start your year off right! Oh and my first meeting is on Aug. 15th. NOT READY! Those snacks look wonderful! I am always looking for a little healthier snack to have after school! I go back to school on September 2nd and I'll be wearing my new Jamberry Nails everyday! I got to try these heavenly snacks on a visit to Sams Club with a friend! YUMMY! I head back to school on August 11th for development and the kids are back on the 13th....Way too fast! Also I am a Jamberry Nails consultant and love the design! September! :) Looking forward to it! Teachers start on Aug 22nd, students on Aug 26th which is my daughter's 17th bday! I go back August 25th...still have time! Teachers return on Aug 11, but that's really just around the corner. I grew up thinking that August is vacation time, so I'm never mentally prepared to return so soon. It's too hot for much recess in Miami at first. Another reason not to rush the opening of school, IMHO. This looks awesome!!! Thanks for this great give away!! I go back August 18 and the kids go back August 25. I start the 18th...it's a great time to start thinking. I've heard of jamberry nails but never looked into it...you got my attention. I go back on 8/13 and my students start on the 18th. I am starting on August 18th, too! 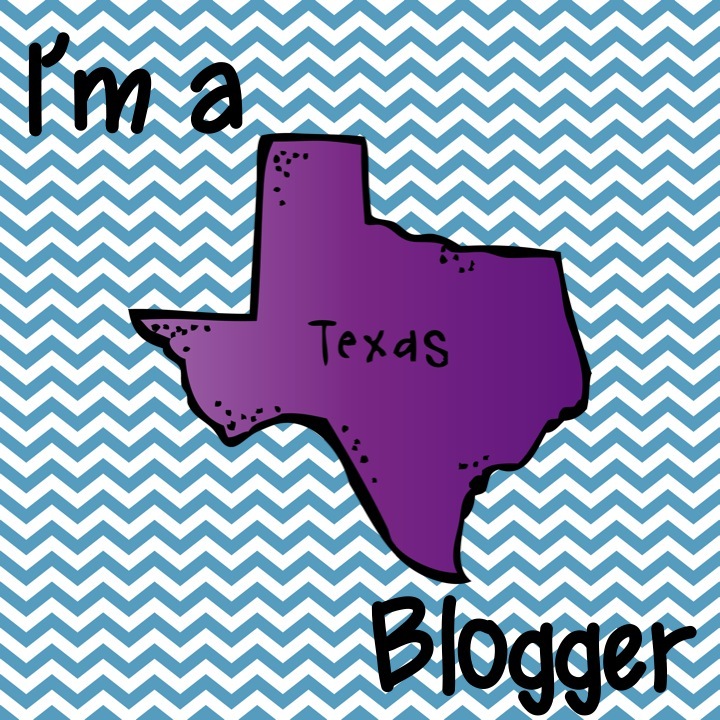 Thank you for your wonderful blog!! It's always inspiring!